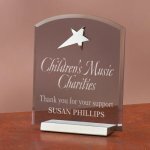 These freestanding circle piano finish wood awards are available in 3 sizes. 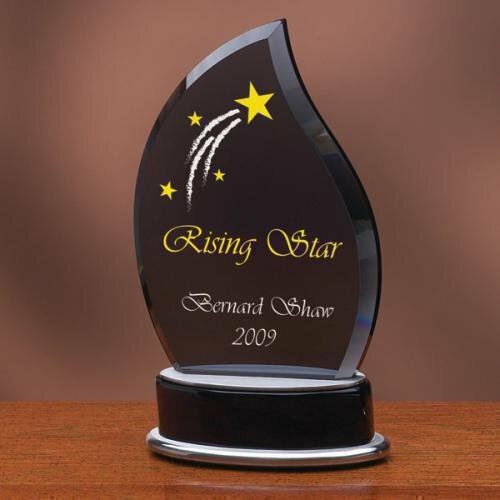 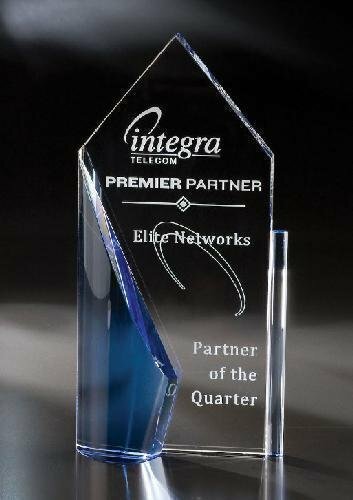 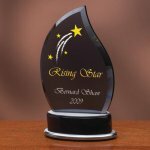 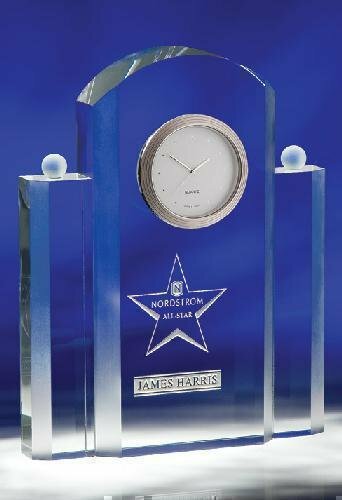 An excellent award for your next corporate award presentation, achievement award presentation, or employee award presentation. 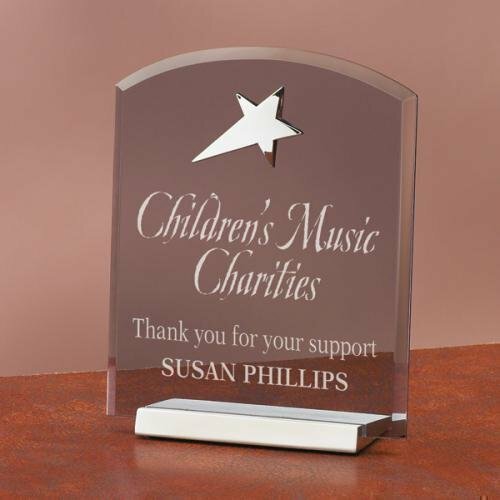 Also loved by sales and service award recipients. 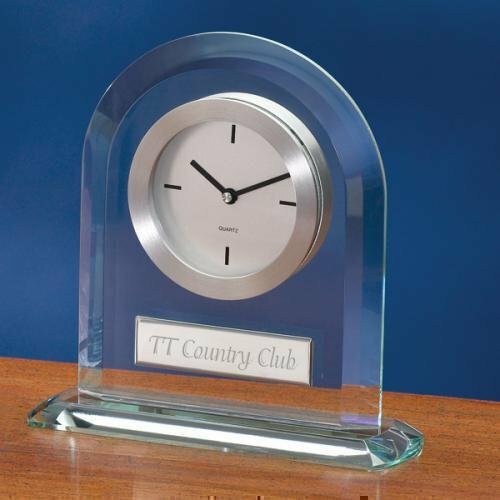 Stylish and simple, this solid crystal desk clock award measures 5 1/4" wide x 1 1/2" deep x 6 1/2" tall with 2 3/4" x 3/4" engraving plate included. 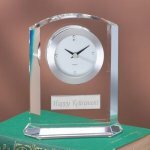 This desk clock face has genuine Swarovski crystals at each quarter hour. 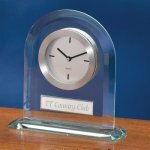 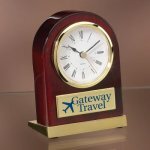 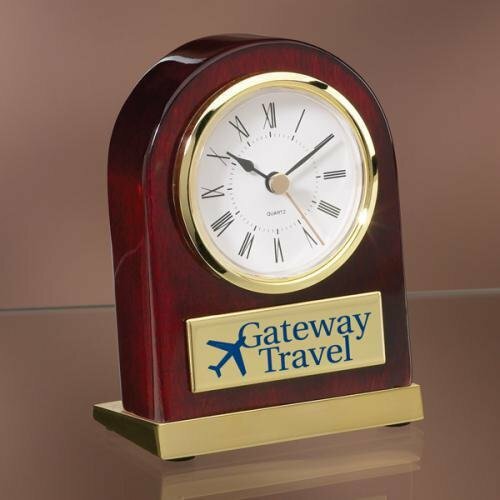 This beautiful desk clock works well on a desk or a bookshelf and is a popular award for employee awards, achievement awards, sales and service award presentations. 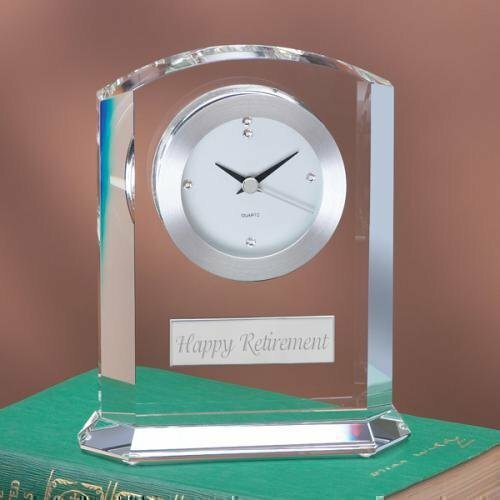 Makes a perfect boss gift, secretary gift of executive gift award.